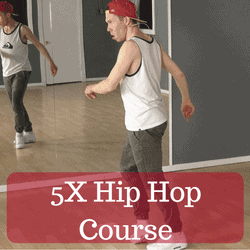 Learn how to dance hip hop with our hip hop moves. They are perfect for those of you who want to get into hip hop dancing and learn some basic steps. These hip hop dance moves are some of the most popular moves out there and could be used to dance at parties, clubs and any other events. It is recommended that you go through these beginner moves in order because we have arranged them from easiest to hardest. 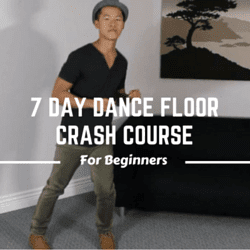 These beginner hip hop dance moves on this page are easy to learn because they teach you one move at a time - as opposed to long, complicated routines. This way you can use them individually or combine them with other steps however you feel. We recommend that you first pay attention to the footwork and timing of the step and then add your own styling to it only after. These hip hop dance videos are general hip hop steps that are good for adults and kids. They could be used with popular hip hop music in any situation. Remember that Hip Hop is all about isolating the different body parts so make sure that you understand what body part moves first and in what sequence. Once you mastered these moves you can also check out other related Hip Hop styles like the free style dance lessons, how to break dance, how to dance to dubstep and popping dance moves. If you are looking to learn other dance styles check out Online dance lessons. Learn basic hip hop moves with 25 step by step video lessons. Learn different types of moves including: Footwork, Upper Body, Waving, Step Touch and Iconic Moves. 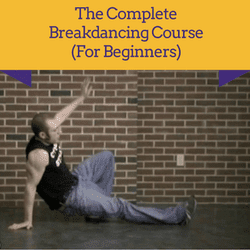 Learn simple but impressive break dance moves step by step! You will learn footwork moves, ground moves as well as freezes. 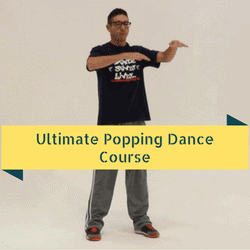 Learn how to dance popping and locking with step by step video lessons. You will learn hits/popping, waving, robotics, gliding, vibrating, slow motion effects and more. Learn fun party moves that include old school moves, as well as new school moves. 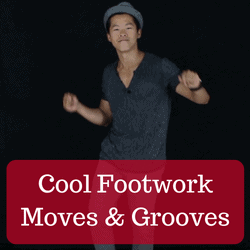 You will also learn 32+ cool footwork variations. Show off with style to your friends. Learn easy dance moves that you can use at clubs, parties and weddings. This course will teach you "natural" moves that look good. 1. It's all about attitude - Remember that Hip Hop dancing is all about "selling" the performance. Commit to each movement and be confident about everything you do. 2. Learn the basics first - the better your basics are, the better you will be able to execute the more intermediate and advanced Hip Hop moves. So don't jump the gun, instead master the fundamentals. 3. Practice, Practice, Practice - You need to hone down your skills as often as possible. Make sure to practice before every class and at your spare time in between classes. The key is to get the steps into your muscle memory.